I’m sure a dozen or so of you were wondering why there wasn’t a recap last night. Usually the final credits aren’t completed before I have my snark-filled analysis of the evening’s CBS broadcast on the blog. Well, not this time. I have a pretty good excuse, though. We did record this week’s Big Brother Gossip Show on Sunday afternoon instead of the usual Saturday evening. When we call this episode “Daydrinking” we weren’t kidding. I had a couple of whiskey-cokes, I must admit. We finished recording a little over an hour or so before the broadcast was to begin, and I had to also upload the file and post it to the various podcast sites and blogs. By the time I was finished the show had already begun. Plus, I’ll be honest I was burnt out on these people. Besides the over two hours we spent broadcasting, I had spent a good portion of the day preparing audio. By the time we were done, this half-tipsy boy was tired of hearing the likes of Nicole, Bronte, Frank, and others. I didn’t need to again hear the network version of those same clips. Now it’s the next day, and my mind is now right to take a look at what I missed. This won’t be the usual extended recap, though. I’ll note some of what happened, and maybe describe the competitions, but that’s about it. Speaking of competitions, this episode begins where the eviction episode dropped off. There’s a team-oriented HOH competition happening where the players have to collect “berries” and carry them across beams and obstacles. The first team to collect ten berries wins, and the person with the last berry is the new HOH. You know how the comps work on the broadcast. The rules are repeated multiple times, and way too many people state the importance of winning. Paul also complains that people broke promises to him and voted against Jozea. Victor adds that Frank pulled him aside to warn him that this was going to happen. Frank adds in the diary room that Victor is his new target. Paul is also annoyed that Zakiyah and Day are moving way too slow. He’s right. James is also dilly-dallying. He upps his pace a bit, but when it looks like they’re going to win he decides it’s time to throw it so that they can go after Victor. We see him purposely falls, and Frank’s team then goes on to win. Frank made the corporate decision to let Paulie take that last berry since he was on the block the previous week. Strangely, James throwing the comp leads to Victor crying in the diary room about losing Jozea. After commercials, everybody heads in. Day says she is just going to sit back and enjoy the week since she feels safe. Paul repeats that he can’t trust anybody and he doesn’t have the numbers he believed he had. Duh. The winning alliance heads into the bedroom and jumps around in celebration. The goal is to put Victor and Bronte on the block. Bronte and Paul are also bummed out. Paul is convinced that Natalie did not vote to evict Jozea. She goes through exactly who voted against him, and Paul claims to believe her. Day and Zakiyah then walk through the room. “I can’t believe they lied to us”, Bronte says. Paul then moves over to chat with Victor. They know the odds are both of them are going up, so they need to win Roadkill and pOV. 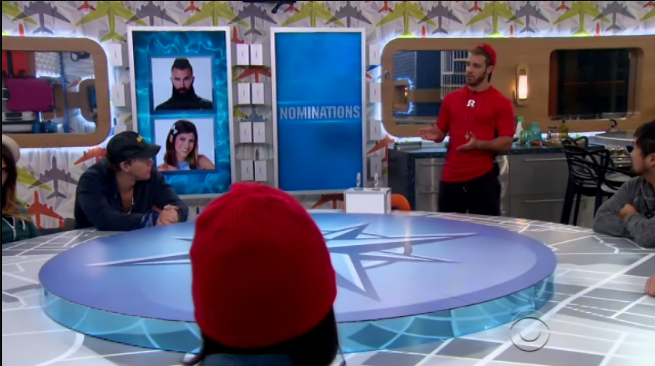 Paulie walks in the room, and Victor says he understands if they’re nominated. He promises to be loyal to Paulie, and points out the girl/boy ratio. Natalie’s name is one that is brought up. Bronte joins them, and Victor claims that she is the strongest girl, and Paulie and Victor are the strongest guys. “Plus, you saw how loyal we were to Jozea.” Yeah, that’s a good way to work Jozea’s competitive nominee. Up in the HOH, Paulie asks Paul about Victor. Paulie is trying to gain some trust from Paul, and the goal is to separate him from Victor and possibly make him a pawn. He tells Paul that they want to ensure that Victor doesn’t play in the POV so he can be backdoored. In the diary room, Paul says “I’ve got to do it or go home”. It’s filler time, and it’s once again James and his stupid pranks and flirting. I’m sick of it. Move on. Back to important matter. It’s nomination time, and as expected it’s Paul and Bronte. Paulie’s explanation is that he’s “not really sure” about either of them, and they were against him the previous week. Weak sauce. After the ceremony, Natalie tells Bronte to “let Paul self-destruct”. She says that she’s got to go “under the radar” and just put a smile on her face. “I’ve got your back, girl”, Natalie replies. Victor feels relieved, but isn’t sure that he’s safe. 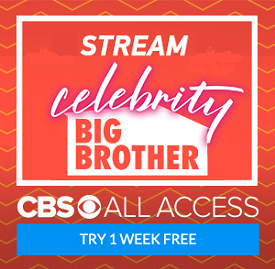 Paul says he has to “play dumb” so that Victor doesn’t blow his cover and end up getting him evicted. Somebody must have instructed Victor what a “backdoor plan” really means. There’s more filler after commercials, and for some reason “Not Gay” Corey is babbling about his love for Christmas. Why? Is it because he’s otherwise never shown? And then we go from that to more pranks????? Why???? Make it stop!!! Bridgette and Natalie are then shown playing chess. Or trying to play chess...when we hear the BB Roadkill sound effect. This time they have to “return” their Big Brother souvenirs. The goal is to have six return tags add up to $18 in the quickest amount of time. As always, the rules are explained again, and many talk about the importance of winning. Excruciating. Somehow the mathematician doesn’t win. Instead it is Victor!!! There’s another set of adverts, and then everybody is back in the house. Victor is now all smiles, and it doesn’t take long for the entire house to figure it out. 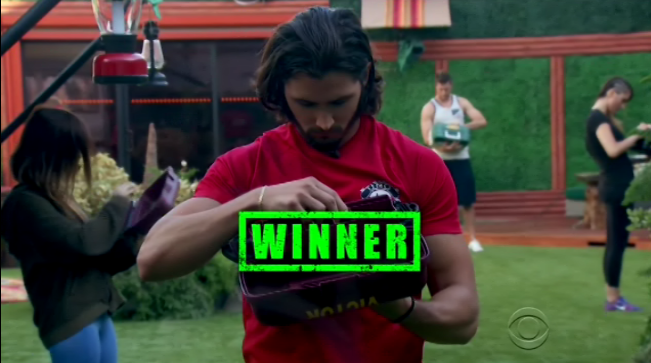 Victor initially screws up by informing Paulie that he won. “Thank you for letting me know that I should just go and tell everybody in the house that you are the winner.” What a dummy. Victor thinks telling Paulie will help keep him safe. Victor then tells an incredulous Frank. “He actually thinks he can trust me.” Paul is then told, and he informs Victor to not let anybody else know. “Trust me.” Paul knows the rest of the house is “playing him”. “They’re all working together...we’re all sitting ducks.” Victor says he doesn’t think that’s the case. Victor then heads upstairs to the HOH, and after Tiffany leaves he says “I hope y’all aren’t playing me, man”. 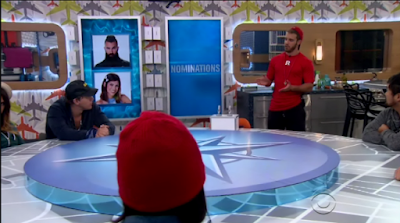 Frank and Paulie tell him not to worry, and after Frank leaves Victor talks about who he should nominate. The two main names are Tiffany and James. Even stupid Paulie believes this conversation is idiotic. We’re at the end of the show, which means everybody must gather to find out who Victor...I mean the secret Roadkill winner has nominated. The last nominee is Tiffany!!!! So that’s it to a pretty mediocre episode. I’m really glad I waited a day to sit through this. What did you think? Is Victor even dumber than Paul? Is James a bore? Let us know!!! They're getting the tats out of the house. Tiffany wears one so she might be next. I despise returning house guests and Grodner loves to pick the worst ones. That being said, I'm liking Da a lot more this season now that she's installed that zipper on her mouth. I love the returning house guests. The newbie's are just very immature kids playing with NO game. I truly can't stand Paul or Bronte. Bronte indicated that she is a math whiz, but failed to win the math challenge. And I would never give Victor money as a Finance Major. He comes across as a vain, conceited high school bully. 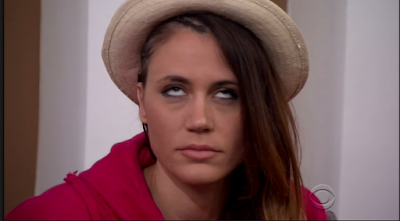 There was no HOH room reveal or "My duty as HOH is to choose two..." soliloquy. I will have to change my beverage and pee break times. I hope this continues because I hat those segments.